What is a novelty search? Understanding these concepts will help you to make a better decision because it will help you to see what a novelty search is not. That is a big problem that I see with many inventors. They rely on the results of the novelty search too much. For example, if the novelty search does not uncover any relevant prior art reference, they take that to mean that they will get a patent. You will then not evaluate all of the risks before moving forward. 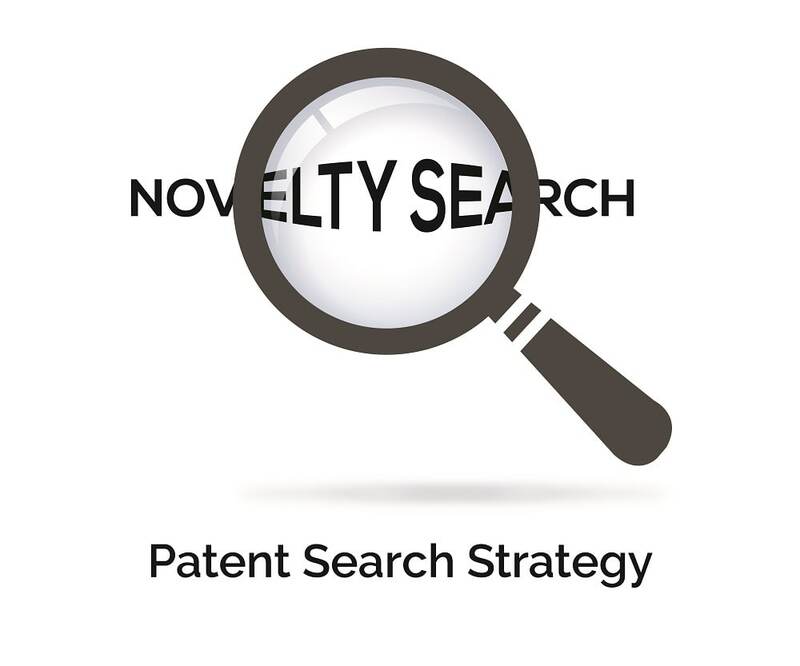 The novelty search is the first step in the patent process. 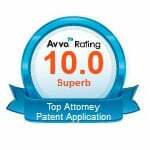 While it is not required to file a patent application, it may be beneficial for a variety of reasons. The following is a discussion that will help inventors understand the benefits but also their limitations. My hope is that this article will help inventors avoid unrealistic expectations that could waste their time and money. The invention must be eligible for patent protection (i.e., it must be patentable subject matter). The invention must be nonobvious (i.e., it must be a significant advancement of existing technology). A patent application must be filed with the U.S. Patent and Trademark Office (USPTO). The application must be examined to see if it meets the standards above, in addition to other legal standards, to be issued by the USPTO. A novelty search will help a potential applicant to see if they can meet the second criterion mentioned above—that an invention must be novel. The searcher attempts to find patent documents that teach how to make and use the invention (i.e., that disclose the point of novelty). The goal is not to determine whether an invention is non-obvious (criteria number 3 above), though references that are similar to the point of novelty may be uncovered. It is too difficult (and often impossible) to render an opinion as to whether the combination of similar prior art documents would indicate that the proposed invention is an obvious variant. The determination of whether multiple, combined prior art documents would render the invention “obvious” is highly subjective and dependent upon the examiner assigned to a patent application. To reiterate, a novelty search entails looking through the prior art with the primary objective of determining whether an invention is new or novel with respect to existing technology. Prior art includes all existing information including that found in the public domain (i.e., published and not secret) or pertaining to existing technology. This information can be used to reject an application for a patent. For example, the idea of a basic wooden pencil is in the public domain. Prior art also includes ‘secret’ prior art. For example, when a patent application is initially filed with the USPTO, the patent application is not immediately open to the public. It remains secret for a period of eighteen months after which the patent application is published even if the patent application does not mature into a patent. During that eighteen-month period, the patent application is considered to be secret prior art. Even though secret prior art is not publicly accessible, it can be used to reject a later filed patent application if the first secret patent application later matures and becomes public and/or published. In other words, when a patent is issued or published, it is retroactively considered prior art as of its filing date. However, someone conducting a novelty search will not be able to find such references because they would not yet be published at the time the novelty search is conducted. Although it would be desirable to be able to uncover these hidden references, it is nonetheless a risk that one must accept and adjust to during the examination process. The novelty search typically involves searching the patent document databases at the USPTO and perhaps foreign patent documents. At the USPTO website, the patents and the pre-grant publications are in separate databases. Because some mature into a patent and others do not, and because some patents are issued but are never published, both databases should be searched if inventors attempt to conduct novelty searches themselves. Overview: How to conduct a DIY patent search? The searchable portion of the USPTO databases only includes issued patents and applications published during a limited time span. Issued patents are word-searchable only from the early 1970s onward, while published applications are word-searchable from the early 2000s, when publication of applications began. Full text searching may be available on Google’s® patent database or at www.freepatentsonline.com. For those interested in doing their own informal novelty search, the Seven Step Patent Search Strategy, published on the www.USPTO.gov website, offers instructions. As of 2017, there are over nine million issued U.S. patents and many pre-grant publications in the patent document databases at the USPTO. Even though a novelty search does not typically extend beyond the patent document databases at the USPTO, such a search is still relatively reliable because of the large volume of information contained in the millions of patent documents at the USPTO. There are several reasons to conduct a novelty search. First, the novelty search may reveal prior art that includes an identical description of the point of novelty of the proposed invention. 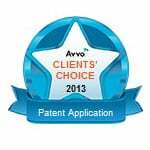 In this case, the patent search saves the inventor the cost of filing a patent application. Moreover, this revelation may inspire the inventor to modify the current idea or pursue another invention. This would not only save the inventor the costs of preparing and filing the patent application and patent prosecution, but also the time, energy, and money that the inventor would have wasted building and marketing the invention. The inventor can divert this time, energy, and money to building and marketing a different invention. Because the novelty search provides insight into others’ inventive and problem-solving attempts (i.e., the state-of-the-art related to the invention), it can also help the inventor draft the patent application. This may help an inventor understand, and later focus on, the points of novelty of his or her invention that may have a greater likelihood of receiving a patent grant. When inventors conduct their own informal novelty search, they typically conduct a generic, text-based search using an online search engine such as Google. However, such a generic search may produce a long list of results that include irrelevant references. For example, if one were to search the term “butterfly,” the results may include references related to both a butterfly valve in a fluidic system (as in a car, for example) and the insect called a butterfly. It would be an inefficient use of time to sift through all the results to find all the relevant references. Of course, an inventor should always conduct a short, cursory, informal search before paying for a formal one. If something is found that would prevent the inventor from securing a patent, then he or she may avoid wasting money on attorney fees to conduct a formal novelty search. Yet if nothing relevant is uncovered in an informal search, the next step may be a formal search. This is because the proper way to conduct a novelty search is by way of a more comprehensive class/subclass search. [i] A formal novelty search identifies the proper class and subclass combinations for the invention, which then produces more concise search results. A text-based search conducted using the proper classes and subclasses produces highly relevant search results compared to an informal search. For this reason, a formal novelty search provides more reliable information so that inventors can make informed decisions whether to file a patent application and spend time and money launching a product. Does this mean that a formal novelty search is reliable enough to guarantee a patent on the invention? No, a formal search is not a guarantee that a patent will be granted, even if it yields no relevant references that disclose the proposed invention’s point of novelty. A formal novelty search is not able to uncover every relevant prior art reference for any given invention. There are about 450 different classes and one thousand subclasses of patent documents categories. Some of the proper class/subclass combinations of the invention may be inadvertently overlooked or not searched. Or, some searchable, relevant references may be incorrectly classified. Additionally, even if all the proper class/subclass combinations of the invention have been identified and searched, particular search terms may not yield all relevant prior art documents if different descriptive terms and phrases were used. Therefore, a formal novelty search that uncovers no prior art references is not a guarantee that a patent will be granted for the invention. 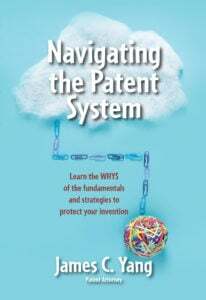 If the novelty search does not uncover any reference that discloses the point of novelty, and an attorney offers an opinion that the invention is novel based on that search, that opinion indicates only a likelihood that a patent may be granted should an application for patent be filed and other patent requirements satisfied. Anecdotally, if the search results in a positive opinion of patentability, I would say there is roughly a seventy percent likelihood that the patent will be granted. Conversely, there is roughly a thirty percent chance that the USPTO will find a more relevant reference not uncovered by the formal novelty search and therefore not grant a patent. Inventors should understand that a formal novelty search that uncovers no relevant references to prior art only means it is more likely that the outcome will be a granted patent. That is, it is more likely than not that a patent will mature should an application for patent be filed with the USPTO. To conduct a proper novelty search, one should appropriately identify the point of novelty of the invention. If something other than the point of novelty is searched, the novelty search process will not produce good results because it will uncover prior art documents unrelated to the point of novelty. An opinion of novelty may not be useful in evaluating the risks of moving forward. Once the point of novelty is identified, the novelty search is typically a two-step process. The first step is searching patent databases at the USPTO and sometimes foreign patent databases for prior art documents that are similar to the point of novelty of the invention. This step is not normally conducted by a patent attorney but is usually outsourced to a third-party search company that bills at a lower rate than an attorney’s office. In addition, these third-party prior art search companies usually have software that can review a larger number of patent documents more efficiently. [ii] The second step is the review stage in which a patent attorney reviews the search results from the patent search company. The attorney will determine whether any of the prior art references include patent documents that disclose the point of novelty of the proposed invention. If so, it is unlikely that the USPTO would grant a patent on the invention. At the very least, the inventor should conduct an informal search. I recommend you use the Seven-Step Patent Search Strategy, published by the USPTO, to do a free, informal, do-it-yourself search before seeking the paid advice of a patent attorney. At the end of this article, I list a couple of companies that can conduct the first step in the two-step process. Even if a formal novelty search is conducted and no prior art references are found (indicating the likelihood that a patent would be granted on the invention), the initial opinion (i.e., office action) of the examiner at the USPTO may still be that the invention is not novel or is obvious in light of the prior art. This could happen because the initial claims in the patent application are designed to come close to, but not clearly avoid, the point of novelty of the prior art. The patent attorney may strategically draft the claim rather broadly so that an initial rejection of the claims is expected. The claims can always be narrowed afterward to avoid the prior art during examination to secure the patent. Let me explain: a strategy when representing solo inventors and small companies is to secure claims of medium breadth—not too narrow or too broad. On one hand, claims that are narrow are more likely to be granted a patent by the USPTO. However, narrow patent claims are easy for competitors to design around and so avoid patent infringement liability. If narrow claims are sought, this does not provide significant barriers to competitors introducing similar products into the market place. On the other hand, broad patent claims are great for solo inventors and small companies, since they are difficult to design around. Broad patent claims create obstacles for others to compete with the inventor (i.e., an effective barrier to entry from competitors). However, very broad patents are expensive because they require extensive argumentation, including back-and-forth communications with the USPTO. This increases the time that an attorney spends on the case and the costs for the inventor. When drafting the initial patent application, I attempt to find a good balance between these broad and narrow claims to provide a cost-effective strategy to secure a meaningful barrier to entry from competitors. This strategy seeks allowance of a claim that is as close to the prior art as possible. If the examiner rejects the claim, the claims can be narrowed during examination to avoid the prior art and to convince the examiner to issue the patent. 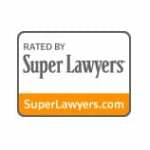 This strategy allows the attorney to narrow the claims only to the extent that it conflicts with the prior art cited by the examiner and negotiate the broadest possible claim coverage. For this reason, the initial claims are designed so that they are likely to be rejected by the examiner. The novelty search is therefore not indicative of whether the initial office action will be a rejection or an allowance. A positive opinion from a novelty search primarily indicates the likelihood that the patent application may eventually mature into a patent, not the likelihood that the original claims submitted with the patent application will be allowed as patentable in the first office action. Inventors may feel that it is appropriate to address concerns about infringing on another unknown patent with their attorney when the topic of a novelty search arises. However, novelty and clearance searches should not be confused with each other because they are not directly related. While a formal novelty search reveals the likelihood that an application for patent claims may be allowed by the USPTO to mature, a “clearance search” helps determine the likelihood that if an invention is made, used, sold, or offered for sale in, or imported into, the United States, such actions would infringe on patent claims owned by others. 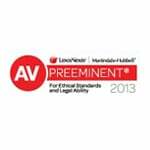 Patentability and infringement are completely different issues and should not be conflated. A patent may be granted on an invention that infringes on another patent. The patent may be granted for the invention because it improves on an existing patented product or adds a feature to that prior product. Clearance searches are significantly more expensive than prior art searches because they require more onerous tasks: sifting through many patent references, checking patent terms to see if patents of interest are still in force, checking the scope of the patent claims, comparing the patent claims to the invention, and, if needed, reviewing the prosecution history to construe the claims before comparing the claims with the inventive product. Clearance searches are frequently cost-prohibitive for most clients and are therefore often not conducted or not conducted in detail. However, a scaled-down approach to addressing potential infringement may be cost-effective. If the inventor or company knows of a similar product or competitor that has a patent pending or a patent, it may be worthwhile to conduct an “assignee search” (i.e., to look for the patent documents assigned to specific competitors). The assignee search is a search of the patent databases for any patents or patent application filings owned by a competitor. Additionally, the patent pending product and its packaging may be searched for any patent markings. Once relevant patent documents are found, the claims of that patent(s) or pending application may be analyzed for actual or potential infringement concerns. Side Note: Although I have indicated that questions related to patentability should not be discussed in relation to questions related to infringement, if an inventor believes that the point of novelty of his or her invention is worth seeking a patent, the applicants of other related patent documents (such as those found through a prior art search) likely also thought the same. As such, to address infringement concerns, it makes sense for an inventor to review the claims of the relevant prior art patent documents uncovered during the novelty search. Although the prior art search does not answer the question of whether one may properly make, sell, or offer the invention, or import the invention into, the United States without infringement liabilities, it does provide a small measure of assurance that making and marketing the invention does not infringe on another’s patent. Please be aware that such searches and reviews only minimally mitigate the possibility of patent infringement liability and do not eliminate it. The value of a novelty search is diminished if the inventor is committed to launching the product regardless of whether there is a likelihood that a patent will be granted on the product. The purpose of the novelty search is to determine whether the inventor will decide to file a patent application and if he or she will launch the product in the marketplace. If the inventor plans to launch the product regardless of the result of the novelty search (i.e., even if the novelty search renders a negative opinion), it may be better to forgo the novelty search and use those funds to prepare and file a patent application. Here is the reasoning: the novelty search is about one-third to one-fourth of the cost of a patent application and is likely significantly less than that necessary to launch a business or product. If an inventor uses the novelty search to decide whether to launch the product or business and whether to file a patent application, the novelty search would be beneficial. This is because it could save the inventor a significant amount of time and money. However, if an inventor only wishes to use the novelty search to decide whether to file the patent application and plans to launch a business regardless of a negative opinion based on the novelty search, it may be beneficial to forgo the novelty search and redirect these funds toward preparing and filing the patent application. Another reason that an inventor may wish to forgo a novelty search is if he or she has already invested a substantial amount of time and money in the research and development of an invention (i.e., has incurred a sunk cost). Once again, in this scenario, the inventor is committed to launching the product, and forgoing the novelty search and applying the funds to the patent application process may be a better use of limited funds. 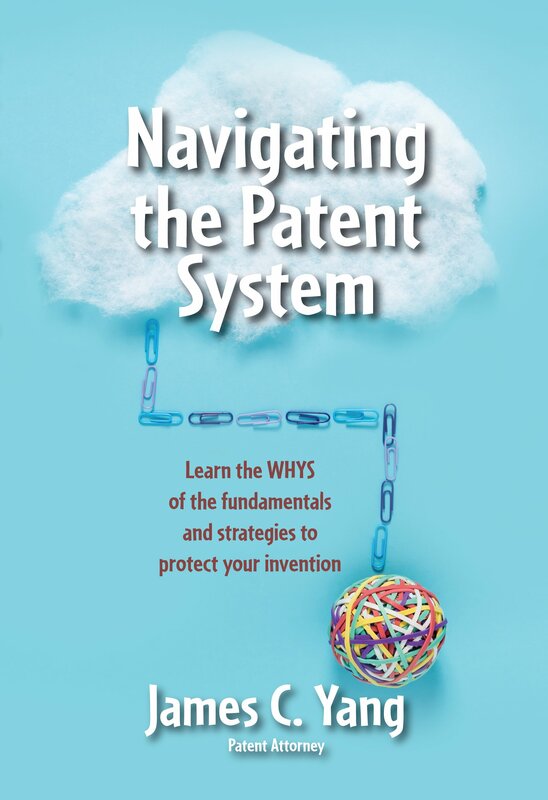 Patents have many purposes, including the primary function of protecting the revenue stream generated by future sales of the patented or patent pending product or method. The decision to spend money and time to seek the patent should typically occur before the start of any sales or marketing. Although the patent application can be filed after the start of marketing, that is generally not recommended. Postponing the filing of the application until after the start of marketing efforts jeopardizes one’s ability to secure a patent because a third party may file its own patent application before the inventor. If the novelty search is bypassed, it may still be preferable to incur the cost to prepare and file the patent application. It is understandable that inventors only want to spend money on legal fees when necessary, but it is worth preserving the option to seek patent protection in case the product does well in the marketplace and the inventor wishes to retain the right to exclude large corporations from making, using, selling, or offering the invention for sale or importing the invention to the United States. If the inventor does not want to spend a lot of money, there are cost-saving strategies for securing a patent. Side Note: To preserve the option to secure a patent, a patent application should be filed. If the inventor files a patent application and the product does not do well on the market, the patent application can be abandoned. But if the product does do well on the market, the inventor can speed up examination of the patent application to secure the patent faster. This is a cost-effective strategy that has helped many of my clients work through this issue. First, to secure a patent, there are two major costs: preparing and filing the patent application (i.e., patent preparation costs) and responding to office actions from the USPTO (i.e., patent examination costs). To lower costs associated with the patent preparation, an inventor can file a “provisional application.” A provisional patent application costs less than a non-provisional application because it has fewer required sections. Moreover, a provisional patent application is not examined and remains pending for twelve months. Thus, patent examination costs are not incurred. The benefit of filing a provisional patent application is that an inventor is able to secure patent pendency for a period of twelve months and thus delay the patent examination costs for at least twelve months. If the product does well in the first twelve months after filing the provisional application, the inventor can speed up the examination process by filing a non-provisional application with a prioritized examination request before the twelve-month period is over. This request moves the patent application to the front of the queue and the application is typically examined within six months. If the invention has not been successful in the marketplace, the inventor can abandon the provisional application and forego filing a corresponding non-provisional application. This will end the invention’s status of patent pendency. If the inventor is still undecided as to whether the invention might be successful in the marketplace, he or she can file the corresponding non-provisional application within the twelve-month period, claiming priority back to the provisional application to maintain patent pendency on the invention. “Claiming priority” is a reference in the later-filed non-provisional patent application to the earlier filed provisional patent application. Claiming priority allows the subject matter of the non-provisional patent application to be considered as if it were applied for on the filing date of the earlier-filed provisional patent application. The non-provisional application can be filed with or without the prioritized examination request. The non-provisional application will usually be taken up for examination in fourteen months to three years, and during this time, the inventor can enjoy the benefits of patent pendency as well as delayed patent examination costs. As explained in the “purpose of a patent” section at the beginning of Section 1, the goal of a patent is to prevent others from introducing similar, competitive products. In sum, if the product is unique, it may still be worth the time and money for an inventor to file the patent application to preserve the option to secure a patent. If the product then does well in the marketplace, the inventor can more aggressively pursue patent protection. [i] For an example of class and subclass categorizations, see Appendix B describing a patent I obtained for a client who invented a rear suspension for a mountain bicycle. This patent is categorized in class 280 which, refers to land vehicles, and subclass 284, which refers to rear suspensions. 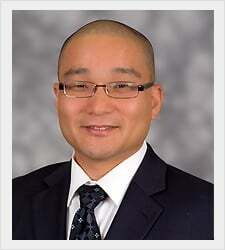 [ii] Third-party prior art search companies include WASHPAT LLC and Clarivate Analytics.